A new Island has appeared in the Outer Banks, could it host a wave as good as Mick's right? Maybe! 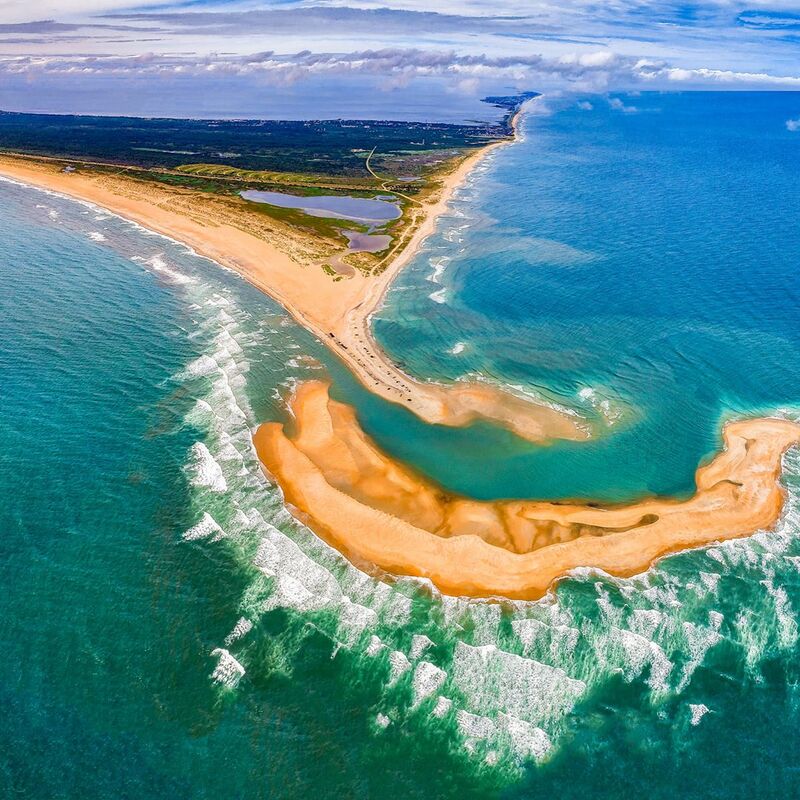 North Carolina’s Outer Banks have been known to produce some of the best dredging sand-bottomed pits on the entire east coast of the US and now a new island has sprung up amongst them. 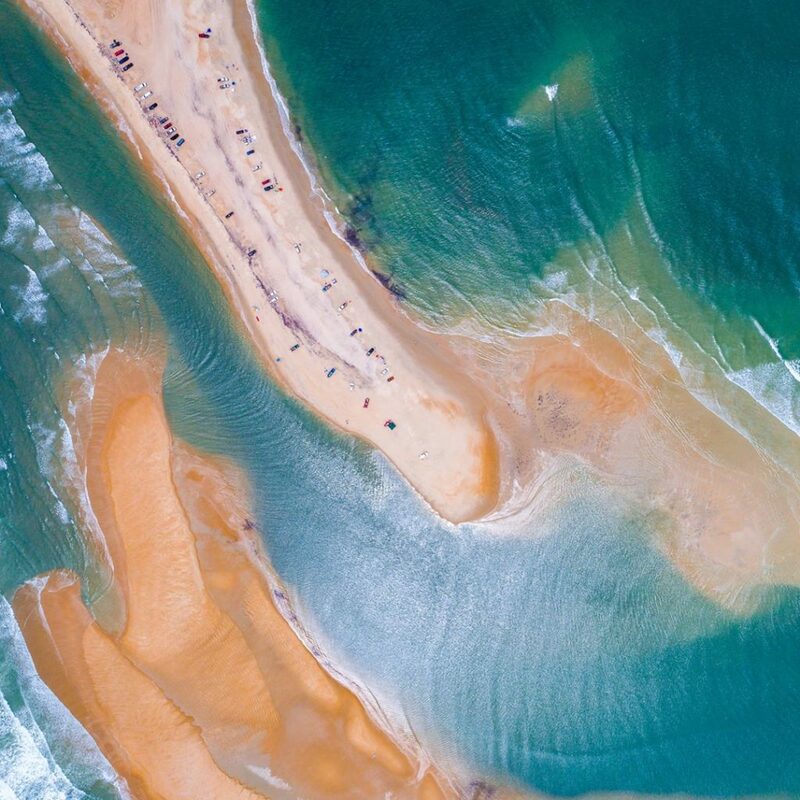 The islands which make up the outer banks are themselves only a thousand or so years old, and the sand along their swell and wind battered coastlines is constantly moving, creating new sand-bars and occasionally brand new land-masses. In this instance the island appeared off the cape of Hatteras, one of the outer-banks largest and most popular fixtures. Whale bones reportedly poke up through the sand, along with the remains of various shipwrecks claimed by this tumultuous stretch of sea, nicknamed the graveyard of the Atlantic by sailors thanks to its strong currents and abundance of ever-shifting shallow sandbars. Tiger sharks and large manta rays have been sighted in the lagoon which separates the new island from the Cape Hatteras mainland. “It’s unusually large compared to what we’ve been seeing in recent decades,” Dave Hallac, superintendent of Cape Hatteras National Seashore and the Outer Banks Group, told National Geographic, however experts agree that it’s unlikely the island will become a permanent fixture of the area’s dramatic coastal geography, with some speculating it could be gone by the end of the year. It’s hard to tell from the shot if the new sand-bar island is likely to host any classic sand-bottomed set ups, although it looks like there could be the potential for a good left-hander wrapping round the bulge on the left of the frame. The far corner of the island is just out of shot, but also looks like it might have potential. You never know, with the right currents, sand transportation, swell direction, tide and wind combo this island could one day play host to a version of Mick’s right. Cross your fingers for the crew of weather beaten locals, we reckon they’ve earned it.